Really, we don’t need a report. As Louisianans, we drive the crumbling bridges, we deal with the lack of mental health care, the failing schools, the lack of economic opportunity, the low wages and so on and so on. The rate of Louisianans without health insurance is still higher than the national average. Not only does our legislature refuse to enact a minimum wage above the federal standards. It has, by law, prevented municipalities from doing so as well. So when it comes to poverty, we still have one of the highest rates in the nation—third highest in the nation just two short years ago. We still have one the highest dropout rates and one of the lowest graduation rates. 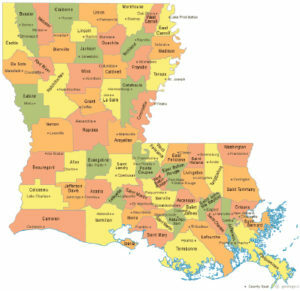 U.S. News & World Report released a report late last month that ranks the state of Louisiana last in every category that matters: crime and criminal justice, the economy, education, fiscal stability, health care, infrastructure, opportunity, and quality of life. Yep, we are right there with Mississippi, New Mexico, West Virginia and Alabama. Good company, perhaps—but a pretty bad place to be. It’s kind of like going . . . to hell . . . but with your friends. For his part, Gov. John Bel Edwards says the ranking is not quite fair or accurate, citing the use of outdated data that do not account for more recent improvements, changes or developments. But let’s keep 100. Even if things aren’t as bad as the report makes them out to be, they are bad enough. In fact, let’s pretend as if this report doesn’t even exist. Really, we don’t need a report. As Louisianans, we drive the crumbling bridges, we deal with the lack of mental health care, the failing schools, the lack of economic opportunity, the low wages and so on and so on. The rate of Louisianans without health insurance is still higher than the national average. Not only does our legislature refuse to enact a minimum wage above the federal standards. It has, by law, prevented municipalities from doing so as well. So when it comes to poverty, we still have one of the highest rates in the nation—third highest in the nation just two short years ago. We still have one the highest dropout rates and one of the lowest graduation rates. So, with all due respect, Gov. Edwards, any attempt to challenge this report with a “well, things aren’t that bad” fall woefully short of the discussions we ought to be having. We don’t need U.S. News & World Report to tell us that our state has some deep challenges and problems. We know. What we would like to see is that report that details how we got here and provides the roadmap for how we get out of this mess. Yes, there needs to reckoning. How does a state with great natural resources, dozens of really good colleges and universities end up at the bottom of a list like this? Some of the nation’s—no, the world’s—largest chemical, oil, and gas companies make billions of dollars in Louisiana every year, but we’re one of the worst states in the nation with regard to some key socio-economic markers. How does that happen? That’s the report we want to read. Then again, we don’t need that one either. The recent failed special legislative session reminds us of the HOW. In a word, it is leadership. The men and women elected by the people of Louisiana could not convene in Baton Rouge to devise a solution—preferably one that does not put the burden on the backs of poor and working people at cash registers and gas pumps—to the nearly $1 billion budget shortfall that will happen this summer. At a reported $60,000 a day for two weeks, this session cost the people of Louisiana more than $800,000 for nothing! To be sure, wasting time and money is a good way to end up last. Now, if this budget crisis doesn’t get fixed, all of the unprotected items in the state’s budget will face deep slashes and cuts. In short, education and health care will suffer. So not only does our legislature not find a real and permanent solution to the state’s budget woes, but session after session after painstaking session, various incarnations of this lawmaking body have failed to do anything to prioritize and protect education and health care—two key elements that must be addressed if Louisiana is to ever inch up a little higher of this list. Still, we shouldn’t panic. Rest assured, our lawmakers will figure this out. They always come up with a temporary solution. Of course, we can just about predict what the solution to the looming budget crisis will be—taxes, taxes and more taxes. And we’re not talking about taxes on major corporations that can afford to pay a little more for their presence and ability to make billions in our fine state. Nope, we are not even talking about getting rid of tax breaks currently being enjoyed by major industries. Naw, it’ll be sales taxes, along with other revenue generators that penny, nickel, and dime the people of this state, which—by the way—has one of the lowest median incomes per household and one of the lowest per capita incomes in the nation. And that ladies and gentlemen is how you get to and remain at the bottom of the list—by putting the people you serve there.